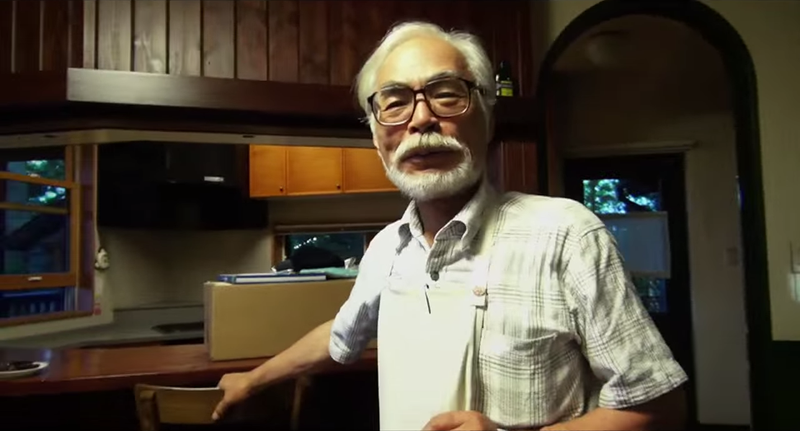 Hayao Miyazaki is one of Japan’s most celebrated anime creators. He also has the reputation of being a bit outspoken of his opinions. Like how using an iPad is like masturbation, or that time he said he hated cars because they were American. Wait, what? An image has recently surfaced on Japan’s popular online billboard, 2ch, that features part of a hand-written essay with doodles by Miyazaki that seem to harbor quite a bit of resentment towards the West. “I dislike the United States that dropped the nuclear bombs and does not regret it, I’m anti-security council, I’m against neutral alliance, and against Americanization, so obviously, I had no interest in riding an automobile. I hate people who are proud that cheap Japanese cars are popular in America, and I look at people who wear badges of the U.S. Army and U.S. Air Force that filled Vietnam with dioxins as enemies, so I’m against motorization. So why did such a man come to ride in an automobile? When my wife’s belly began to grow the young me believed that as a husband, it was my duty to carry the same weight. So I decided that even though I did not know if it was a boy or a girl (since it hadn’t been born yet), in order to take my child to nursery school, I would go to driving school, a place that still gives me shivers to remember. All driving schools should burn to the ground! The essay is an account of how Miyazaki learned to drive, but the setup, written in the present tense (at the time) seems to show quite a bit of resentment towards the west. While the clear connection is missing from the text, the implication is that Miyazaki hated cars because they were an American invention. There are also a couple of doodles by Miyazaki depicting an angry younger version of himself. The image on the lower left features an angry young Miyazaki at driving school arguing with his driving instructor as he learns to drive. Maybe he even enjoys the occasional hamburger now and then.